In a container, add pork meat and season with annatto, cumin, salt, pepper, and half of the garlic. Add vinegar, water, onions, and aji panca paste. Let marinate for 24 hours. In a large pot, add oil and sauté the garlic. Add pieces of pork, half of the marinade and onions. Cook meat on low heat until tender and juicy. Add hot water if necessary. Serve with white rice. 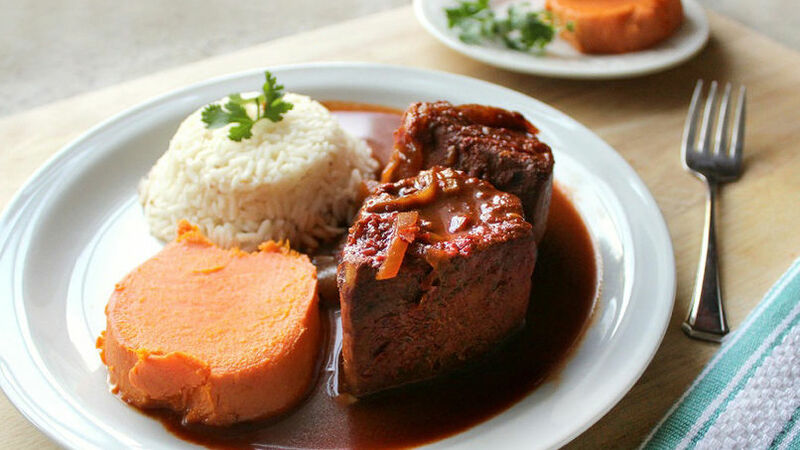 This is one of the most typical dishes in Peruvian cuisine. It’s from the south of the country, specifically from the city of Arequipa. I hope you enjoy this delicious recipe.